Helping Out for the Examination! 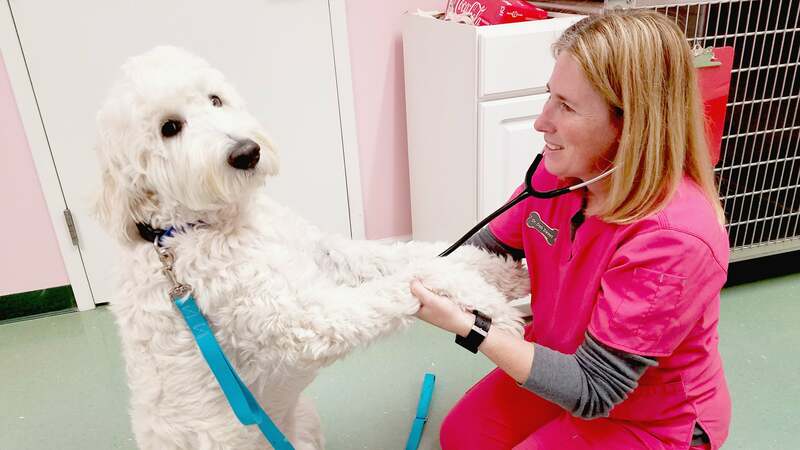 How precious is this picture of Dr. Sweet and her patient Kona?!?! He decided he was going to try and help out during his examination by sitting up for her while she listened to his heart. What an absolute cutie-pie! Kona's a goldendoodle who is a little over a year, but certainly still has some puppy tendencies in him! And while we may sound like a broken record, it is just too true not to say again and again - we have THE BEST clients and patients!